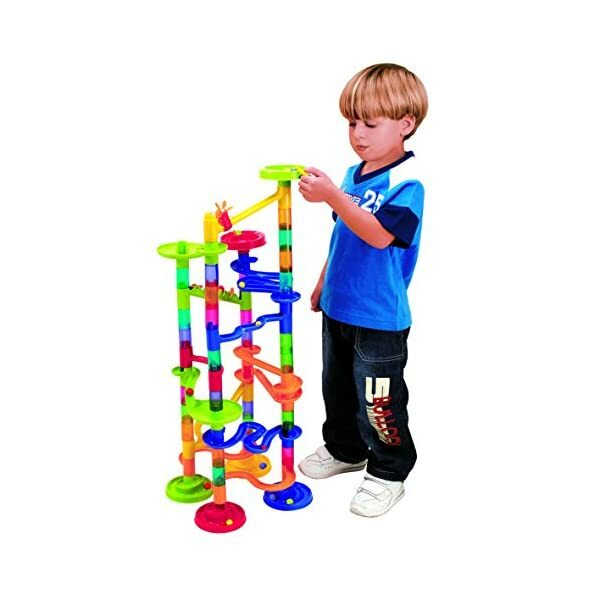 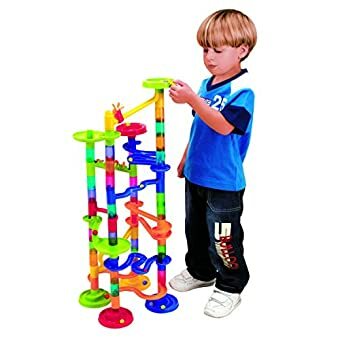 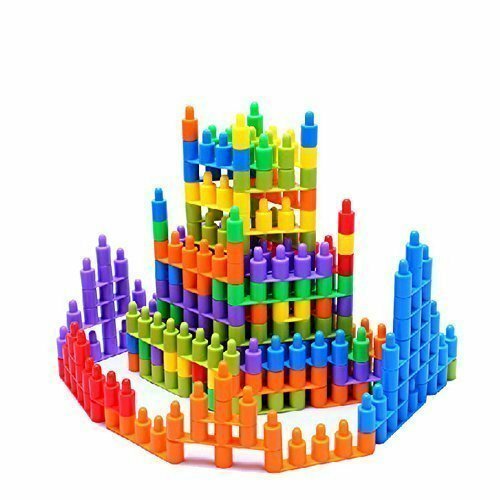 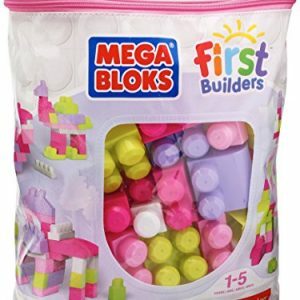 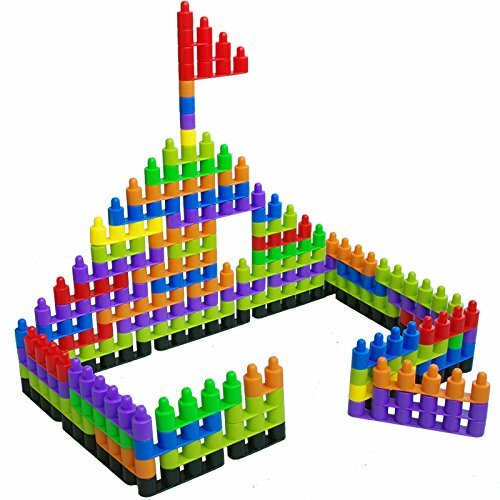 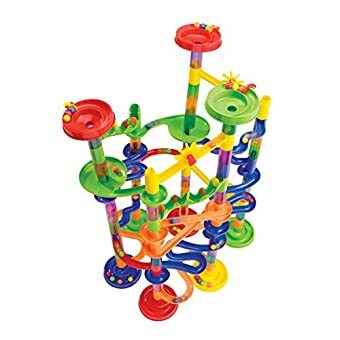 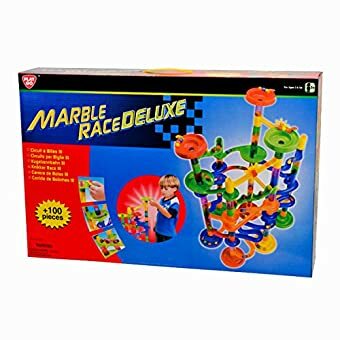 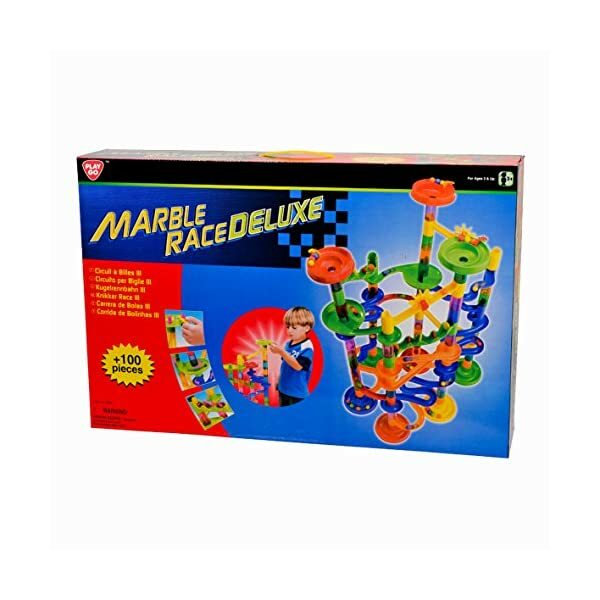 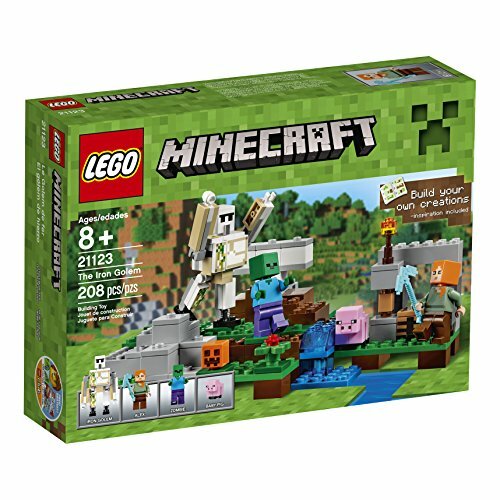 This Imaginarium Deluxe Marble Race is the best way to get your little one interested in building. 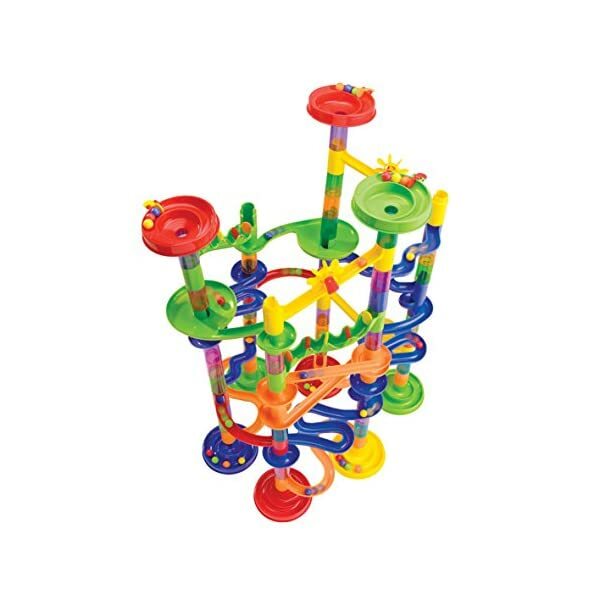 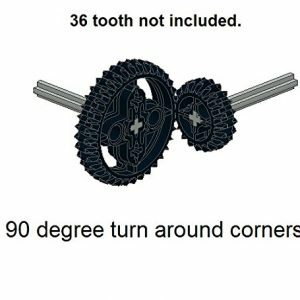 They’ll love putting the curved tracks together in an endless choice of designs. 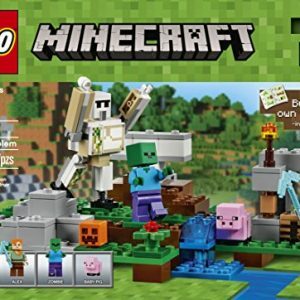 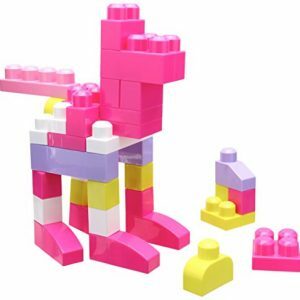 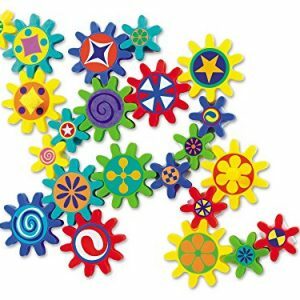 It will inspire them to explore their imagination and engage in self-expression in a fun and familiar setting. 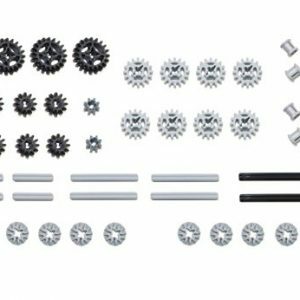 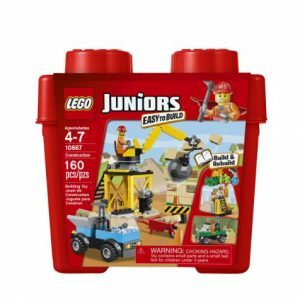 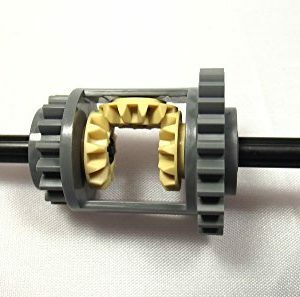 The easy-to-assemble plastic set includes 20 track pieces, 50 connectors, 20 marbles, 9 rollers, 2 paddles, and more. 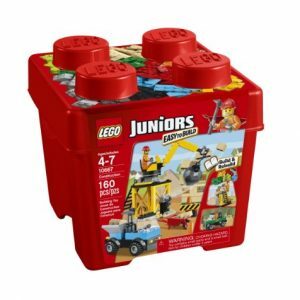 Box dimensions: 19″W x 14″H x 5.5″D.